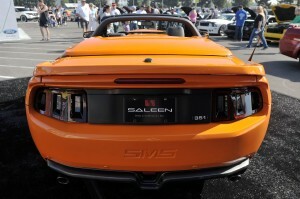 See video and photos of the new, 700HP Saleen 351 Extreme Black Label Mustang debuting at the Fabulous Fords Forever car show in Buena Park, CA. 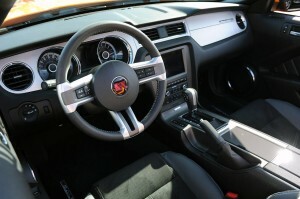 The new Black Label is the flagship leading Steve’s Mustang fleet into 2014–Staying true to the 351, this Mustang features a Saleen Supercharged 351CI, 5.75 liter DOHC V8 motor with forged internals and a 6 speed manual transmission (automatic trans is available for an additional $995 from the factory). Hailed as the largest car show on the West Coast, Fabulous Fords Forever has 56 different car classes and 2100 cars registered for the show. The 28th annual show kicked off Sunday, April 21st at the Knott’s Berry Farm in Buena Park, California with free public admission. If you want to get your car in the show next year, be sure to register early as registration tickets sold out early. Check out their registration flyer for a list of this year’s car classes and an idea of what the show will be like next year. 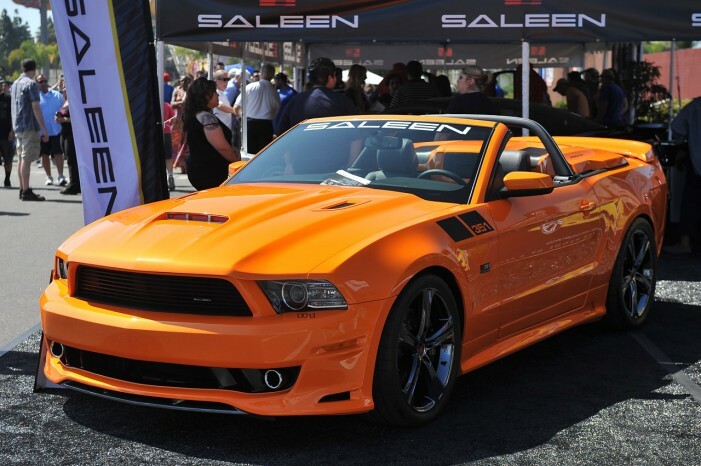 Let us know what you think of the 2014 Saleen 351 by commenting below or drop us a line on twitter or Google+.